Happy Wednesday everyone! Rosemary here with a card made using all dies... not a lick of stamping on it any where! 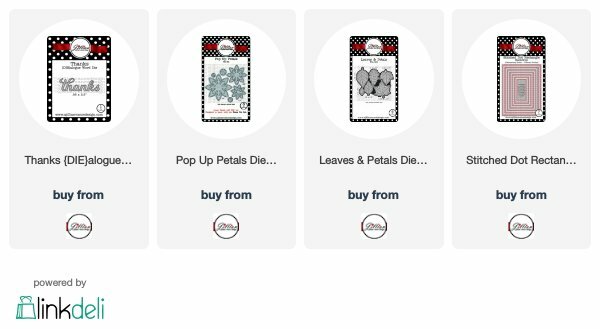 I used the following dies for my card: Pop Up Petals, Leaves & Petals, Stitched Dot Rectangle and Thanks word die (it is now in the last chance category). 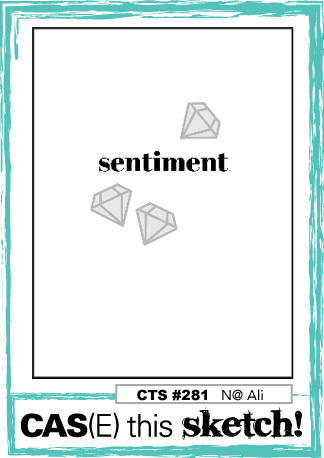 I love a good color challenge so I used the colors from the Fab Friday challenge as the starting point for my card. Then I threw in the layout from CAS(E) this Sketch and my card was born, lol! I haven't used the Pop Up Petals dies in awhile so I used them to die cut my three flowers from pink cardstock. The leaves were die cut from a cardstock that was close to the Tranquil Tides color. 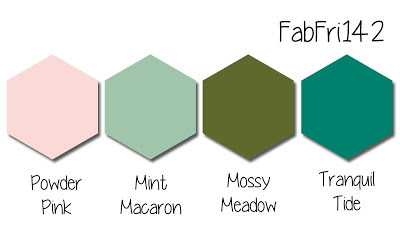 The centers from a color close to the Mossy Meadow color and the thanks from a color close to the Mint Macaron color. Some woodgrain cardstock was die cut with the Stitched Dot Rectangle and then I adhered all my die cut pieces together and adhered them to the card front. Another clean and simple design... I seem to be on a clean and simple kick right now! Adding this to the Simon Says Stamp Wednesday challenge of anything goes. Love the white woodgrain background for those gorgeous flowers! Wonderful card, Rosemary! Just love the pop-up petals on the woodgrain, Rosemary! Great take on the sketch!! Those light pink blooms are so sweet Rosemary! I don't even miss the stamping on this delightful card! So sweet, Rosemary! These dies are a perfect way to deal with our colors - your little detailed blossoms and leaves are just adorable. I love the textures you've achieved, too! Thanks so much for playing at Fab Friday!